Erin M. Jacobson, Esq. ~ The Music Industry Lawyer - Erin M. Jacobson, Esq. Love it when a smart attorney takes complicated issues and explains them in plain English. Erin Jacobson is a breath of fresh air in the music industry. Optimistic, realistic, and forward thinking in this music world that is constantly changing. The things that don’t change are the loyalty, integrity and responsibility that create relationships that are real. I’ve been through a lot of challenges in my journey in the music business and Erin has truly had my back. She not only cares about giving you first rate legal representation, counsel, and services, she cares about your success. Look no further, she’s the real deal. Erin Jacobson is truly an expert in the unique intricacies of the music business. She is an incredibly knowledgable music attorney and a trusted friend. I'm very thankful to have her protecting my interests. Erin Jacobson is smart, she’s super well informed, and best of all, she really understands what independent artists, songwriters, and composers need from an entertainment attorney. We know that for a fact because a bunch of TAXI’s members have used Erin for their legal needs and they all love her! When was the last time you’ve heard anybody say they “love” their attorney? Erin Jacobson is hands down the best music and entertainment attorney that I've ever dealt with! [Erin Jacobson] established herself as an authority, not only as a lawyer, but within the music industry itself. Erin provides first-class legal counsel for entertainment-related issues. She can see the big picture, and this perspective has helped clear the way towards my goals. I know very few lawyers who will listen, care, and work as hard as Erin. When you speak with her, it feels like she is a member of your team and completely committed to protecting your interests and success. Erin Jacobson has a track record in the music industry for getting musical acts what they want, what they need, and what will protect them in the future. Working with Erin Jacobson has been one of the best decisions for our business. She provides sound advice and we can count on her for the best guidance. I highly recommend her. We have been so lucky to meet and work with Erin Jacobson. In Erin, we found a professional and knowledgeable attorney, but most of all we found a friend that really cares about our music and project. Erin Jacobson makes sure all your bases are covered when entering a deal. Her process is well thought-out, and she never rushes the client into something they will regret later. We feel Erin is truly invested in our success; can’t recommend her more! With Erin as my attorney, I know that I am in good hands and well protected. 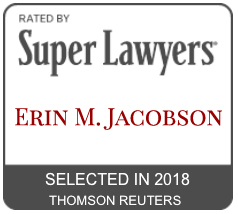 "Attorney Erin Jacobson is a shinning star in our galaxy of burnt out supernovas." Erin M. Jacobson, Esq. to contribute to Synchtank’s Synchblog!